Welcome back to dHarmic Evolution podcast with me, James Kevin O’Connor, singer/songwriter, audio/video artist, and master storyteller. Today we’re in Florida hanging out with Diamond Dixie! Diamond Dixie is a country duo, consisting of sisters Gabriela and Bianca DeLuc. They’re not afraid to explore new avenues to creating their songs. They take turns writing, as well as recruiting other musicians to write too! Their country sound is clean and fresh, with melodies and lyrics that will have you singing along for days! 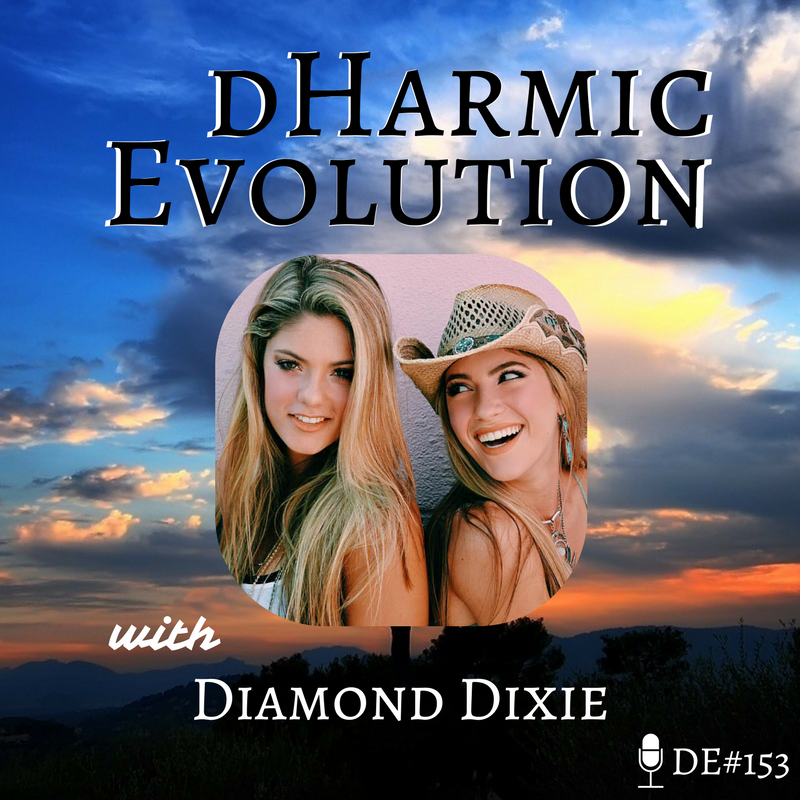 Check out Diamond Dixie’s rockin’ tunes and hear all about their journey on this episode of dHarmic Evolution! -We learn how Diamond Dixie got their name and grew their brand! -We find out how collaborating with a pop rock artist gave the track “Take Two” its sound! -Diamond Dixie tells us about how much they enjoy a musical challenge on stage.